Exceptional white and colour diamonds, as well as signed antique jewels, outperformed at the Sotheby’s and Christie’s magnificent jewellery auctions in Geneva on May 15-16. The enduring popularity of heirlooms and signed antique pieces at the Geneva sales was also reflected at the Royal Wedding in Windsor, where Meghan Markle wore a diamond tiara loaned to her by the Queen, as well as a Cartier diamond bracelet and earrings. In Geneva, a few days before the Royal Wedding, several antique Cartier pieces surpassed pre-sale estimates. The Sotheby’s and Christie’s magnificent jewellery auctions in Geneva, held twice a year in May and November, serve as barometers for the sale of top tier gemstones and jewellery. 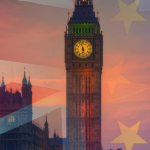 The latest results were hugely positive – suggesting the market is holding firm despite international challenges. 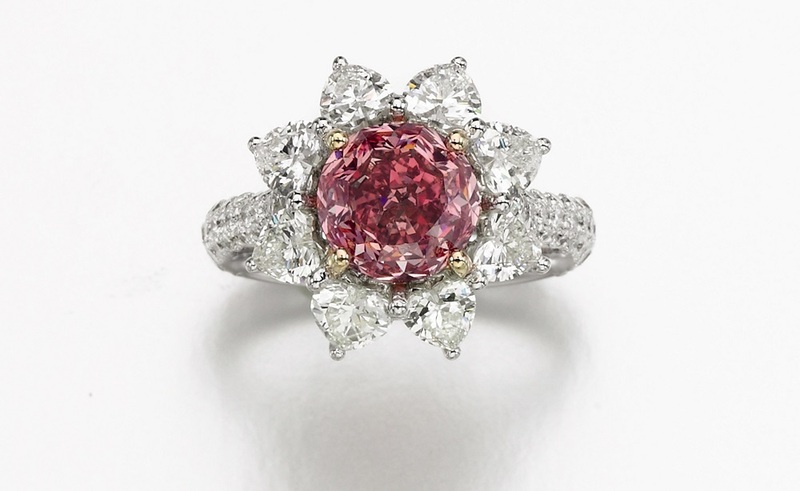 A fancy intense purplish pink 8.52ct diamond ring sold at Sotheby’s Geneva for a cool $6.275 million (£4.698m). The mood was buoyant as the Christie’s sale wrapped up the Geneva spring jewellery auction season on May 16, with rare diamonds, gemstones and jewels achieving remarkable prices, sometimes several times their estimates. 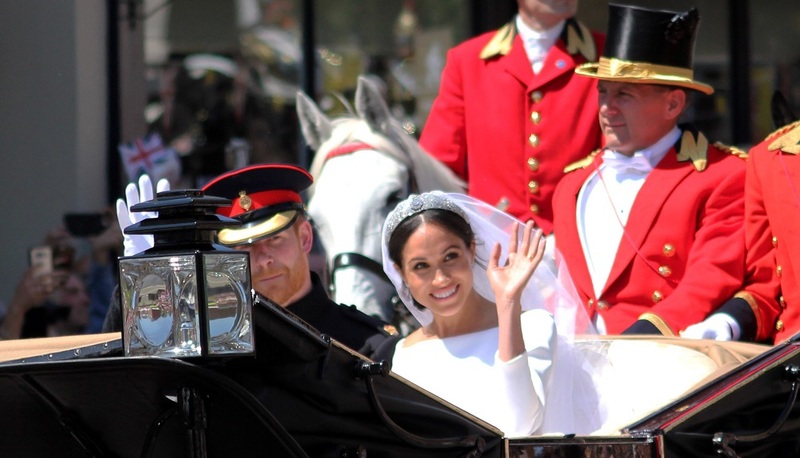 Meghan Markle’s choice of jewellery at her wedding to Prince Harry on May 19 reflected the lasting appeal of high quality heirlooms and branded items. She wore a tiara straight from the Queen’s collection, the Queen Mary Diamond Bandeau. 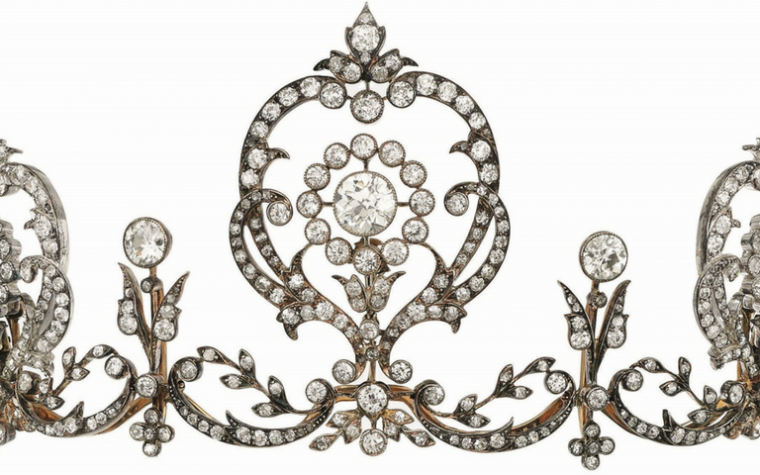 Queen Mary, wife of King George V, bought this diamond bandeau from London jeweller Garrard in 1925. Meghan Markle wore Queen Mary’s Diamond Bandeau tiara on her wedding day, loaned to her by Queen Elizabeth II. Image: Shutterstock. Markle, now the Duchess of Sussex, wore delicate diamond stud earrings from the Galanterie de Cartier collection, as well as one simple diamond bracelet by the French design house, both in white gold and diamonds. At the Geneva sales, heirlooms and Cartier pieces saw sturdy demand, emphasising the appeal to collectors of long-lasting quality in design, craftsmanship and materials. 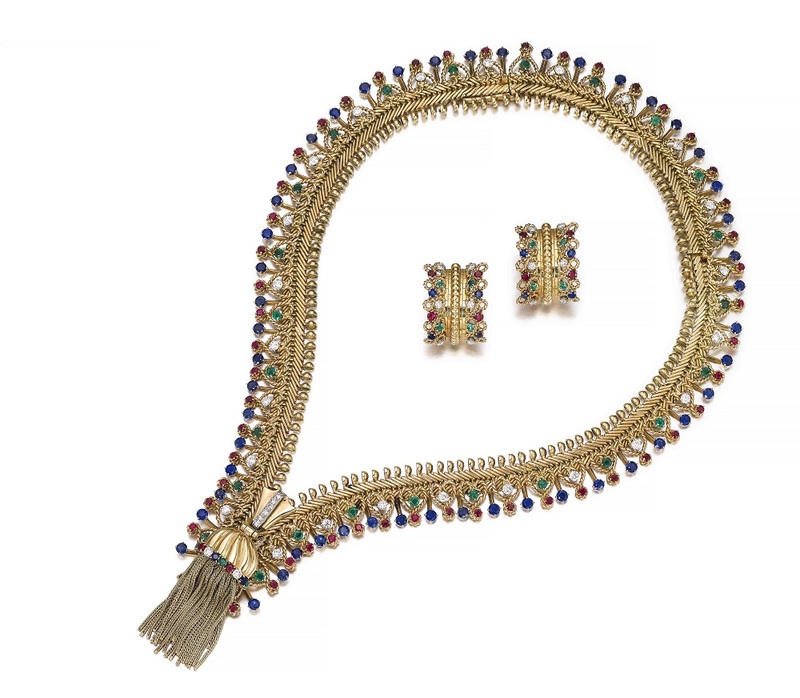 Among the heirlooms, a star performer was a 1950s gem set and diamond demi-parure, ‘Zip’, by the French maison Van Cleef & Arpels, which went under the hammer for $410,000 (£306,900), soaring above its pre-sale estimate of $50,000-70,000 (£37,000-£52,000). A Van Cleef & Arpels Zip necklace that performed strongly at Sotheby’s in Geneva. 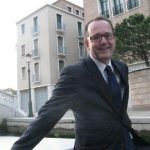 “It is testimony that good quality jewels, that are well made, will do very well at auction,” said Daniela Mascetti, Sotheby’s Deputy Chairman Jewellery, Europe, after the sale. At Christie’s, a coloured diamond, emerald, mother-of-pearl and diamond, ‘Les Oiseaux Liberes’ bangle by Cartier, achieved a hammer price of $660,000 (£494,309), well above its $200,000-300,000 (£149,000-£224,000) estimate. An important late 19th century emerald and diamond necklace, by Tiffany & Co., which was originally sold by Christie’s New York over 20 years ago, netted $1.57 million (£1.175m), comfortably above its pre-sale estimate of $700,000-1.2 million (£524,000-£898,000). Leading the Christie’s sale was a 50.47ct white diamond ring by Harry Winston, with a fantastic D colour, VVS1 clarity, which sold for $6.5 million (£4.867m). 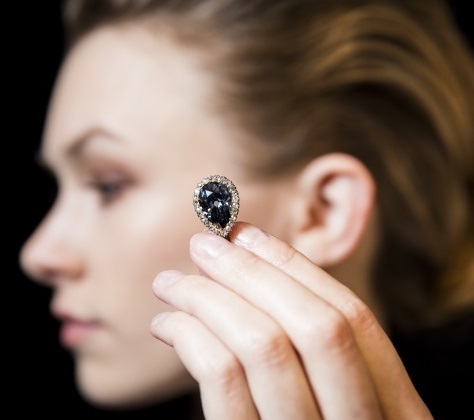 The top lot at the Sotheby’s sale on May 15 was the historic 6.16ct Farnese Blue diamond, which had previously been in the hands of the same family for 300 years. It went for $6.7 million (£5.01m) to an anonymous buyer, well above estimate. The historic Farnese Blue diamond that once belonged to royalty. Just as in the Christie’s sale, white diamonds did very well at Sotheby’s. Two stones, each in excess of 50 carats, sold above their estimates. A 51.71ct round white diamond garnered $9.25 million, above its estimate of up to $9.1 million (£6.925m). A 50.39ct oval cut white diamond sold for $8.12 million (£6.07m), exceeding its estimate of up to $7.68 million (£5.75m) The Sotheby’s sale fetched $85.6 million (£64.09m) in total (see main image). Outside the Christie’s venue at the luxurious Four Seasons Hotel des Bergues, supercars, including top-of-the-range Ferraris, Mercedes and Porsches, lined up, and the chic restaurants nearby were full, underscoring the fabulous wealth of buyers attending the sale, which brought in $81.62 million (£61.1m). Some of the world’s top diamond dealers, such as Oded Mansori, who specialises in rare stones in excess of 10 carats, participated in the sale. “We’re pleased with the entire auction,” said Rahul Kadakia, the auctioneer in the sale of the top lots at Christie’s, which wrapped up soon before midnight after 12 hours of often frenzied bidding. IJL is #withyou offering international insights and auction results that reveal the highs, lows and opportunities for growth in our sparkling industry. Find out more about our 2018 exhibitors or contact a member of our team for more information. Images courtesy of Sotheby’s – Magnificent Jewels and Noble Jewels May 18. Tagged Christies, Geneva, International Focus, Meghan Markle, Royal Wedding, sothebys. 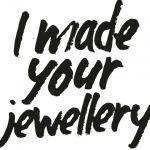 Interesting article showing the importance and long lasting appeal of beautifully crafted heirloom pieces by the top jewellery brands. 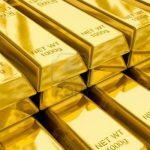 A snapshot into the fabulous world of the super rich .